If you’ve driven anywhere near downtown DC this week, you know it’s National Cherry Blossom Festival time. Not by the beautiful, lush pink blossoms adorning the trees around the Tidal Basin—because they’re still in hiding—but by the droves of tourists clogging roads, sidewalks and what seems like every single visible surface. But us locals just have to keep a grin (or grimace) on our faces and keep saying, “tourists are good for the economy…” while we also enjoy the many events that are part of the festival for the next few weeks. This year, organizers are recognizing our furry friends with a series of Sunday afternoon cherry blossom dog walks. 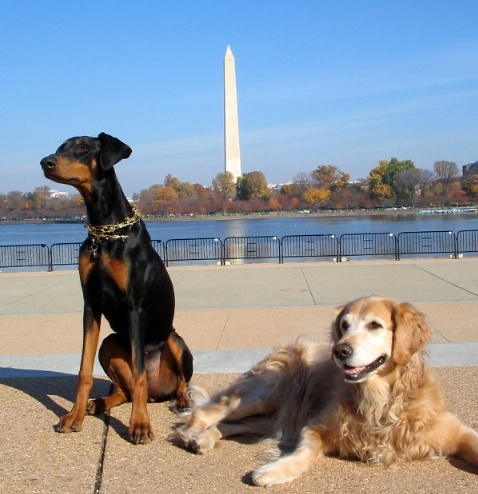 The Pets in the Park: Cherry Blossom Dog Walks are led by a National Park Service ranger on March 31 and April 7 at 3:00 p.m.
Walkers should bring their own water and waste bags, and keep in mind dogs have to be on leash at all times. Meet at the Thomas Jefferson Memorial, 900 Ohio Drive, SW. For more information, call 202-426-6841.